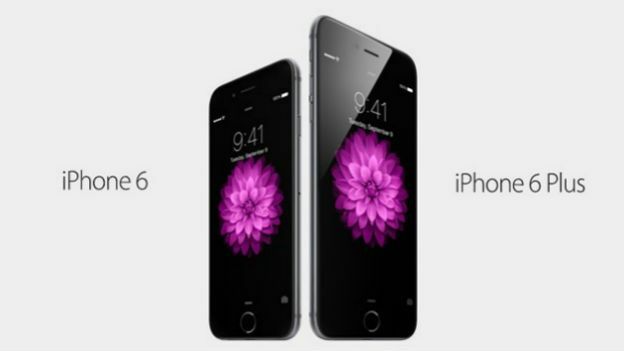 As widely rumoured, Apple has unveiled a slew of products, the iPhone 6 and a larger variant the iPhone 6 plus. In another widely rumoured move, the company also unveiled the Apple Watch, a smartwatch range with several variants and styles. September 19th is the confirmed iPhone 6 release date, as predicted by everyone, and the iPhone 6 plus will ship at the same time. The Apple Watch will ship 'early 2015' according to Tim Cook. Apple might be gearing up to drop not one, not two, but four different iPhone 6 versions, according to a report by GSMarena. The article makes reference to screen-protector retailer Xtremeguard, a site that lists display covers for the 4.7- and 5.5-in iPhone 6 models as well as two iPhone 6C equivalents. UPDATE: Pre-orders have been opened up for the iPhone 6 in luxury gold and platinum coats courtesy of Brikk, marking up at around £5000. The ritzy handsets are tipped for a September/October release, which falls in line with current speculation. Unless Apple dramatically changes course from its release schedule, we're unlikely to see the iPhone 6 arrive on the scene until September 2014. We're expecting that Apple will drop the iPhone 5C, replacing it as an alternative to the normal iPhone with a slightly larger phabet. It was suggested that Apple could be launching two phablets, but battery problems are said to have delayed the largest 5.5-inch iPhone 6 until 2015. It's looking increasingly likely September will be the date, thanks to Apple boss Tim Cook confirming Apple's new products will be arriving soon. We got a good look at a purported iPhone 6 sapphire screen earlier this month. Measuring 4.7-in, the crystal display appeared impervious to vlogger Marcus Brownlee's attempts to stab, scratch, and snap the rugged component. Taiwanese pop star Jimmy Lin's been at it again, and has dropped a new pic of what looks like the 5.5-inch iPhone 6. Check it out here. Apple's iPhone 6 will launch with a larger screen, that much is certain. How large though is where things start getting a hazey with the web seemingly split between Apple launch two sizes of iPhone or just one. Throwing its lot in with the notion that Apple will launch just one new handset is this leaked iPhone 6 schematic which shows what appears to be not only a new design for the iPhone but also a single 5-inch display, contradicting previous reports. As with any and all Apple-based rumour it's important to take what you've just seen with a large mountain of salt, there's no way of proving that this schematic is real. That said, 9to5 Mac claimed to have gotten hold of an image showing an as yet unverified image of the iPhone 6 chasis sporting a thinner body and what could be a larger 5-inch display. The image is blurry to be honest and while CTech have certainly had some legitimate leaks in the past there's no telling whether this is actually an iPhone 6 image or just an early prototype from Apple. If it does prove to be real then it means that the new iPhone would have a significantly smaller body measuring in at around 6.5mm thin. Recent reports from the Wall Street Journal have indicated that Apple is experimenting with screens ranging from 4.5- to 6-inches. Apple had to be dragged kicking and screaming from its classic 3.5-inch handset to the iPhone 5 and 5S' 5-inch screen, but speculation suggests it is willing to push closer to the 5-inch screens offered by some of its Android rivals. According to MacRumors, one analyst has suggested that Apple could be looking to implement a 4.8-inch Retina+ IGZO screen made by Sharp, which will make the iPhone 6 display thinner, brighter and much clearer – boasting better than HD resolutions. So there you have it, all we know about the one-size-fits-all theory. Now onto the possibility that actually Apple will actually unveil two new handsets in different sizes. The latest rumour about a larger iPhone 6 comes from Sonny Dickson – the same guy that gave us a sneak peak of the iPhone 5S and iPhone 5C ahead of their launch. The leaked case suggests Apple will be unveiling a 4.7-inch iPhone 6, with slimmer body and newly positioned power button. The case size reveals that the iPhone 6 could be thinner than the current model and even thinner than the Google Nexus 5. In March Chinese analyst Sun Changxu told Chinese-language website QQ Tech that Apple will launch the follow up to its flagship smartphone in two large screen sizes. As well as the addition of larger screen sizes, the company could also move forward the launch date of the phone, according to Sun. According to Sun, the iPhone 6 will come with a 4.7-inch screen, with a display resolution of 1,136 by 640 pixels. The company would then launch a larger 5.5-inch model shortly afterwards. That's looking increasingly unlikely due to the rumoured issues with the larger model's battery. He said the company is likely to use the Worldwide Developers Conference in June to launch the handsets. However, a leaked image that showed up on Chinese forum WeiPhone appeared to show a display for an iPhone 6 model lined up against an iPhone 5S and an iPhone 4S. Of course, this could be a fake image created by someone who has tampered with and refitted the glass. Or it could be a prototype display that Apple has ordered from Chinese suppliers. According to one analyst, Apple has been negotiating with US networks to raise the price they pay for the iPhone 6 by $100 (£60). It is currently unclear if Apple is trying to do the same with UK networks. The information came to light in Jefferies analyst Peter Misek's latest investors note, which was released on Monday. According to Misek, despite an increase in competition from cheaper smartphones, the move could benefit Apple. “The possibility may at first seem farfetched in light of investor concerns regarding possible carrier subsidy and handset price cuts due to smartphone saturation and lack of differentiation,” Misek said in the note. Of course, the big question is who will foot the increased bill? According to the analysts, it is extremely unlikely gadget fans will bear the full brunt. According to Misek's colleagues at Jefferies, networks in the US are simply not in the position to refuse Apple's demands. As Mike McCormack and Jerry Dellis commented, networks risk losing customers if they refuse to the new, higher price. In the build up to the iPhone 5S launch analysts predicted the company would boost the storage of the device to 128GB, up from the top-end 64GB handset. That speculation will now carry over to the iPhone 6. That would tie in with the recent addition of a 128GB iPad model. Why couldn't Apple employ the same tech here? In terms of processing heft, recent reports out of China suggest a lightning-quick 2GHz dual-core A8 processor, measuring just 20nm and running off 64-bit architecture. The iPhone 6 will make use of Sony's Exmor IMX220 camera sensor, a huge upgrade over the iPhone 5S snapper, if a post on Chinese tech forum Digi-Wo is to be believed. The IMX220 operates a 13MP, 1/2.3" sensor and is capable of recording 1080p video. By contrast, the iPhone 5S camera is uses a much smaller 8MP, 1/3.2" sensor. A new report from IT168 suggests the long-rumoured 4.7-in iPhone 6 will sport a 1,800mAh battery, while the 5.5-in version will come packing a meatier 2,500mAh juice-box. The bigger batteries would be a sizeable increase over the iPhone 5S's comparatively meagre 1,560mAh battery, but both fall short of the Samsung Galaxy S5's 2,800mAh battery, despite the Sammy display being just 5.1-in. New leaks have suggested that the 5.5-inch iPhone 6 will feature 128GB of storage and optical image stabilisation. If true, it would be the first time time either feature has been present in an iPhone. Amazon Japan seems to have accidentally listed the iPhone 6, revealing a 4.7-in screen, and 64Gb of storage, as well as gold and black models, with prices set high at just north of £800. In the build up to the iPhone 5S launch event, an Apple patent was uncovered for a fingerprint sensor that integrated Near Field Communications technology, enabling wireless payments, data transfers, media playback and more. The NFC chip was a no show. Might it be integrated within the iPhone 6? The iPhone 5S also saw a brand new A7 processor, that's 40 per cent faster than the A6 and a new M7 motion co-processor that tracks the users movement. We'd expect this tech to evolve in the iPhone 6 handset. Apple is yet to launch a quad-core handset. Will 2014 see it make the jump? The device's camera also just got a pretty significant update thanks to a 15 per cent larger sensor and a dual LED flash. There's also new software features TrueTone flash firing, Burst Mode and slow motion video. We can only envision Apple will further hone this tech within the iPhone 6. Will we see a 13-megapixel sensor to replace the 8-megapixel snapper on the iPhone 5 and 5S? Naturally, there'll be the latest Wi-Fi, 4G and Bluetooth technologies. Roll up, roll up, here's a fresh snap of Apple's actual iPhone 6 handset, or at least that's what Tech site KitGuru purports anyway. The image was posted recently by KitGuru, the same site that famously leaked the first real shots of the iPhone 5. Some recent renders, razzed out by designers Tomas Moyano and Nicolas Aichino, look to be the likeliest contenders yet for an accurate iPhone 6 concept. Tech vlogger Danny Winget showed off the first fully functioning iPhone 6 clone in July. The phone was for all intents and purposes an iPhone 6 at face value, although it ran a heavily reskinned Android OS modded to look like iOS8, and the specs weren't anything to write home about either. We recently saw a video showing off what's puported to be the iPhone 6's back casing, courtesy of tech-vlogger iCrackUriDevice. The video revealed a power/lock button move to the side of the phone, and thick bands/breaks for improved signal strength. New images show the iPhone 6 next to a 5S and a HTC One m8 for size comparison. Check them out here and here. Recent images were also leaked of what looks to be the next iPhone in the hands of Taiwanese pop-star Jimmy Lin. The latest rumour is that the iPhone 6 will come with a curved screen and rounded edges. Citing "reliable sources", tech blog Mac Otakara has claimed the iPhone 6's glass will sit flush to the handsets corners. So presumably that means Apple will forego a bezel altogether, as has been suggested in the past. If true, it would mark a departure from the straight lines that debuted with the iPhone 4 and carried on through to the iPhone 5. The site compared the look to the Squair Curvaceous Bumper – a case for the iPhone 5S that features a rounded housing. It also said that the Apple will do away with the glass rear and antenna breaks found on the latest models of the iPhone. Replacing them with an all aluminium design. Supporting that is a report by of Bloomberg. according to a source familiar with the process Apple is working on two new iPhone designs that would feature curved displays and a new touchscreen technology that can detect levels of pressure. Apparently the two new handsets would sport a 4.7-inch and 5.5-inch display. According to the source they're still very much in development so we wouldn't see a release date until at the very earliest October 2014. Apple's iPhone 6 may have a wraparound screen, according to a recent Apple patent filing. The patent shows off an iPhone design with a wraparound AMOLED screen, which appears to be similar in design to the fourth generation iPod Nano, has gained particular attention. According to the patent the screen can be 'unrolled' or 'unfolded' thanks to a hinge or unfolding mechanism allowing the screen area to be almost doubled in size. Facial-recognition, gesture control and the layering of screens to create a 3D display were also described in the patent. The Apple logo on the upcoming 4.7-in iPhone 6 might light up to alert users of new notifications, according to a report by uSwitch. The site showed off two new images that reveal an embedded logo on what looks to be the iPhone 6, a departure from the printed-on logo that the iPhone 5S currently sports. The report from Laoyaoba.com says the fast-approaching blower will tout a 'tactile feedback linear motor' which will be capable of vibrating even on very specific areas of the touchscreen. Apple's iPhone 6 could arrive with electronic image stabilisation (EIS), according to a Chinese analyst, rather than optical image stabilisation as first suggested. Writing on Chinese social media site Weibo, ESM-China analyst Sun Chang Xu has said the follow up to the iPhone 5S will rely on software, rather than hardware, to stabilise images. A new feature that could well appear on the 6th generation iPhone is the use of sonar as a replacement to the current infared sensors which use sound as a proximity sensor – according to this report in Apple Insider – letting the phone detect where it is, either as a way of alerting the user about an incoming object, or as a way of detecting whether the phone is being held to the users ear. One of the intriguing features to appear on several rumour feeds is the introduction of a “smart bezel” which would display information around the screen. It emerged from an actual patent that Apple filed and, according to Macworld, the smart bezel could be a place for flashing buttons and symbols that compliment the on-screen action. The patent states: "The primary display could be used to convey visual content to a user, and the secondary display could be used to guide a user providing inputs to the device. For example, the secondary display could be selectively illuminated to provide one or more indicators that represent where or how a user can provide inputs to the device." The iPhone 6's camera is said to feature electronic image stabilisation instead of the optical variety. While this can lead to more artifacts, it does mean the iPhone 6 will be a lot thinner. Another new feature that could be winging its way to the iPhone 6 is a Lytro style camera. According to a patent, Apple has developed a way of taking plenoptic or 'light-field' photographs with a much smaller lens. That could mean we'll see the ability to take a picture and refocus it afterwards. While it wouldn't be the first device to manage it, it would be a big USP for Apple if it was the only company that could shrink the technology down enough to fit it in a smartphone and tablet. Another feature that we could see built into the iPhone 6 is a payment system. Many Android phones have come with NFC for years. However, Apple has chosen to eschew it, and is said to have been working on its own standard. That standard would use Apple's TouchID to verify payments, according to Wedge Partner's Brian Blair. "This fall, we expect Touch ID to be built into all of the new iPhones and iPads," he wrote in a research note that was published by Barrons. "Either ahead of or shortly after the rollout of Touch ID across the next wave of iOS devices, we believe Apple will introduce its payment platform." Unless Apple breaks from tradition and launches an iPhone 6 in the middle of the iPhone 5S release cycle, it seems that the iPhone 6 will arrive with iOS 8 out of the box. With iOS 7 bringing a much-needed visual overhaul for Apple's mobile software, it seems unlikely that Apple will be reinventing the wheel again so soon. Smartphone case-maker Spigen has hinted that the upcoming 5.5-in Apple handset is going to be called the iPhone Air, in line with recent rumours. The first clue comes from an image posted to Spigen's G+ account showing a mystery Apple device with a tagline reading "Can you feel it? There's something in the Air. iPhone 6 cases coming soon." Subtle, eh? If that wasn't enough, the firm also added two Amazon listings - one for an iPhone 6 4.7-in casepriced at $10.99, and another for an iPhone 6 Air 5.5-in case marking up at £26.99. Both listings also show a shipping date of September 30th 2014. We expected this is some serious bet-hedging, as the iPhone 6 4.7-in is expected to launch earlier in the month. If the release goes ahead as expected, this'll give Spigen plenty of time to produce the cases and meet the shipping date with ease. Apple is allegedly planning a new set of headphones that will be capable of monitoring your heart rate and blood pressure. Dubbed EarPods, they will enable Apple to keep an eye on the health of the user and if we were betting types, we'd say the information will be fed into the upcoming iPhone 6 and/or iWatch. It's possible they'll even be bundled with Apple's upcoming smartphone. Details of Apple's EarPods were published on secret-sharing app Secret at the beginning of May, but it's currently unclear how genuine the claim is. According the post, the EarPods will also let you use iBeacon to locate them if they ever get lost - which sounds pretty handy to us. Apple acquired Beats Electronics earlier this year for $3bn, so we suspect the good Dr Dre's bass'd up sound tech might make an appearance in the iPhone 6 headphones. Beats-branded headphones/earbuds might be shipping with the iPhone 6 as a result of the merger.